Waking up is hard to do. And some mornings an annoying beep from your alarm clock just doesn’t cut it for getting you out of bed. When you feel as though you need something above and beyond the standard alarm clock, it’s time to step up the the “Stinky Alarm Clock”. 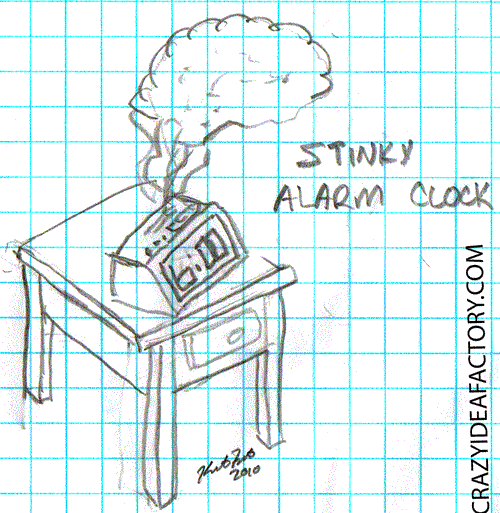 It doesn’t just beep and buzz like standard, boring, old alarm clocks, it emits horrible odors. You will be rushing to get out of bed so you don’t get a whiff of “extremely burnt microwave popcorn”. 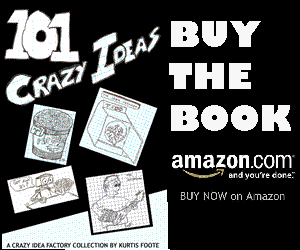 As for pushing the snooze button, nobody is willing to use a snooze button if it means having to breath in noxious “5 year old, horrible, moving thing from the container found in the back of your friend Ed’s fridge” fumes. One Comment on "Stinky Alarm Clock"